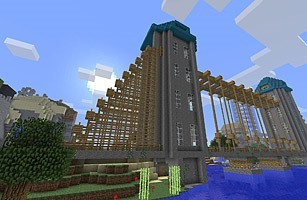 Time Magazine has mentioned Minecraft as the number one game of 2011. About this time every year Time releases the top best and worst lists of the year and Minecraft made the top of the gaming list. They mention Minecraft as, "so endlessly, pleasurably reconfigurable and customizable that it rewards you for the zillions of hours you sink into it", I'm sure those of you reading this couldn't agree more. Read more of Time's Top Ten Games of 2011 here.